At Mackenzie Pointe Animal Hospital, we offer a full complement of services, ensuring that every patient receives the highest quality and most comprehensive veterinary care available. Our staff of veterinary professionals has years of advanced training and experience. We are all dedicated to helping your pet stay well and healthy. As you can see, our staff has a wide variety of backgrounds and interests, but above all we are all dedicated veterinary professionals who share a genuine love of animals and a desire to provide the very best care for you and your pet. As pet owners ourselves, we understand how difficult it is when a pet becomes ill. It’s our mission to help in every way possible with expertise and compassion. 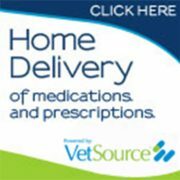 Please don’t hesitate to call upon us whenever we can be of assistance to you and your pet. 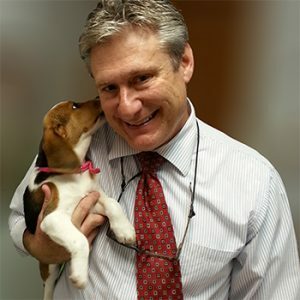 Dr. Lux is a 1982 graduate of the University of Missouri-College of Veterinary Medicine. He practiced in the Spanish Lake and the South County areas until opening Mackenzie Pointe Animal Hospital in September of 1991. He is Past President of the Greater St. Louis Veterinary Medical Association (GSLVMA), past delegate to the Missouri Veterinary Medical Association (MVMA) and is currently chairperson to the Scope of Practice Committee of the MVMA. Dr. Lux and his wife, Janice, have four children, Amanda, Justin, Brad and Brett. They have two dogs, Harley and Brody and since Amanda and Janice are allergic to cats, Dr. Lux gets his cat fix at the office with Grace and Rusty. His hobbies include music, cycling and golf. 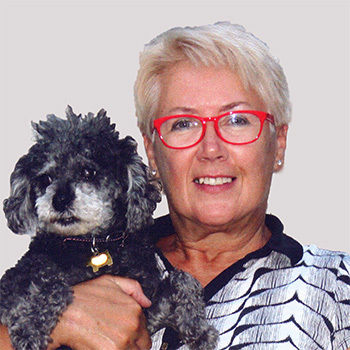 Susan began as a volunteer at Mackenzie Pointe Animal Hospital shortly after Dr. Lux opened the practice. 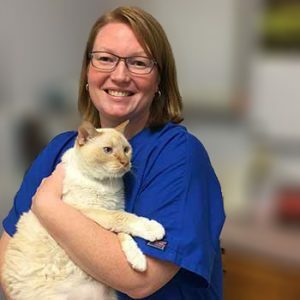 She worked part time at Mackenzie Pointe Animal Hospital through college and joined the practice full-time in 2003 after completing her veterinary technician boards. Susan has also worked part-time in an emergency practice since 2002. In her spare time, she enjoys spending time with family, friends and her Miniature Schnauzer, Daffney. 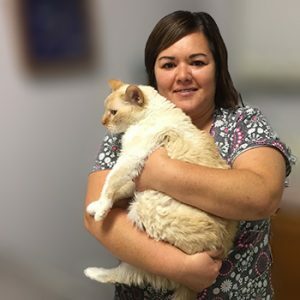 Heather has been a caring veterinary assistant at Mackenzie Pointe Animal Hospital for 6 years. She has been in the pet care industry for over 18 years working as a research technician at Nestle Purina and a groomer. When she is not working, Heather enjoys spending time with her family, camping and fishing. She has two dogs (Peanut and Millie), a cat (Mack Tater) and a guinea pig (Snickers). Vickie received her EMT license in 2001, her AHA CPR Instructor certification in 2006 and induction into Phi Theta Kappa in 2008. Vickie loves working in animal care, animal rescue and behavior. For the last 10 years she has worked with animal rescue groups. Her passion for animal care and preservation continues as a veterinary assistant at Mackenzie Pointe Animal Hospital. Vickie has two children and three grandchildren. She lives with her teenage son and several rescue pets. In her spare time, she works with her animals and enjoys the arts. Stephanie began her time at Mackenzie Pointe Animal Hospital during her internship at Midwest Institute’s Veterinary Technician program. 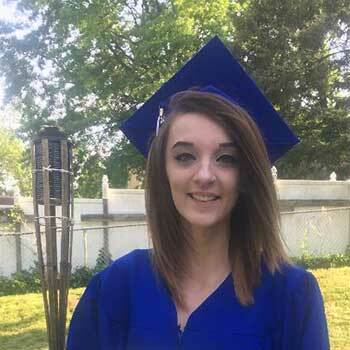 She graduated in January 2018, and is a Registered Veterinary Technician in the state of Missouri. She now currently works part time at Mackenzie Pointe Animal Hospital, and part time as a server. In her spare time, she enjoys cooking, spending time with her friends, 2 cats (Lucy and Naidia), and 2 dogs (Maya and Isis). Diane has been working part-time at Mackenzie Animal Hospital since 2009. She has been active in rescue work for over 40 years and still works with several local rescue groups. After hurricane Katrina, she was part of a rescue team that brought back displaced animals from Louisiana. In her spare time she helps place rescued animals with their forever families along with gardening, cooking and reading. Ellie and Reba, her two rescue dogs, live with her and her husband Joe.